Our program includes weekly classes held at Kehillat Netzach Israel and led by our rabbi, Gustavo Surazski. 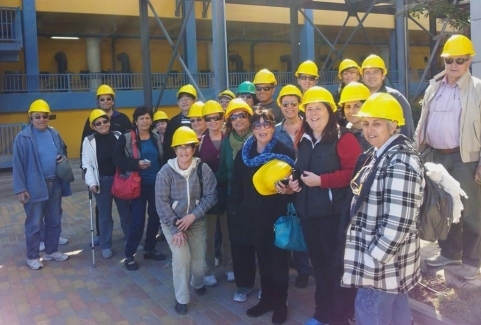 We also enjoy organised trips and have been to Yad Vashem, the Hertzl Museum, the Israel Museum & the Archaeological Park at the Davidson Center in Jerusalem. We also visited the Palmach Museum in Ramat Aviv, the Shafdan Wastewater Treatment Plant in Rishon Lezion & the Seawater Desalination Plant in Ashkelon. In past years the classes have dealt with a wide variety of topics, from the weekly Parasha, through Masechet Avot, Medicine and the Halacha and analyzing stories from the bible such as the stories of Bereshit and Megillat Esther. Study Mornings with outside speakers: The Multi-Faceted Family - workshop with reference to biblical sources on Friday mornings once or twice a year . Last year we also enjoyed several activities organised jointly with our Tikun Olam Committee. 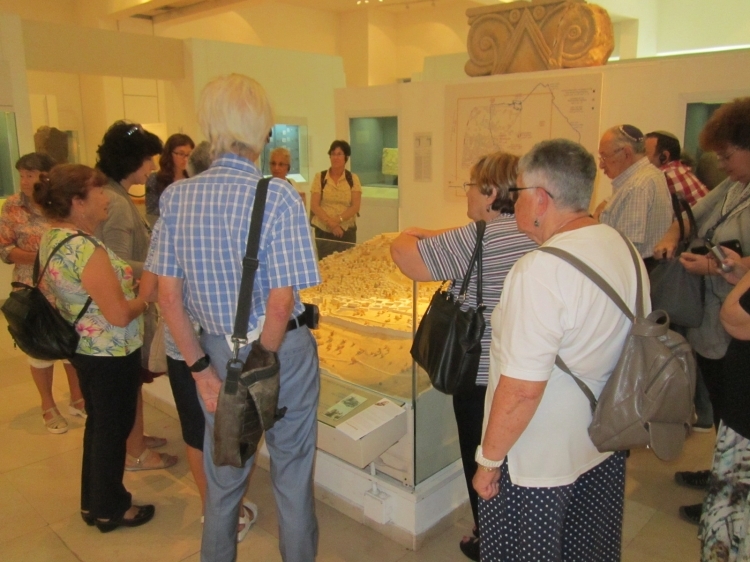 On 1.1.14 our Adult Education committee took a group to see the exhibition on King Herod at the Israel Museum in Jerusalem. This is the world's first exhibition on the life and legacy of Herod the Great, one of the most influential & controversial figures in ancient Roman and Jewish history. in Ashkelon which produces drinking water from seawater. provides clean drinking water for more than a million people in Israel. & the Babylonian Exile. The exhibition was excellent & we also enjoyed a light meal in the cafeteria before returning to Ashkelon.